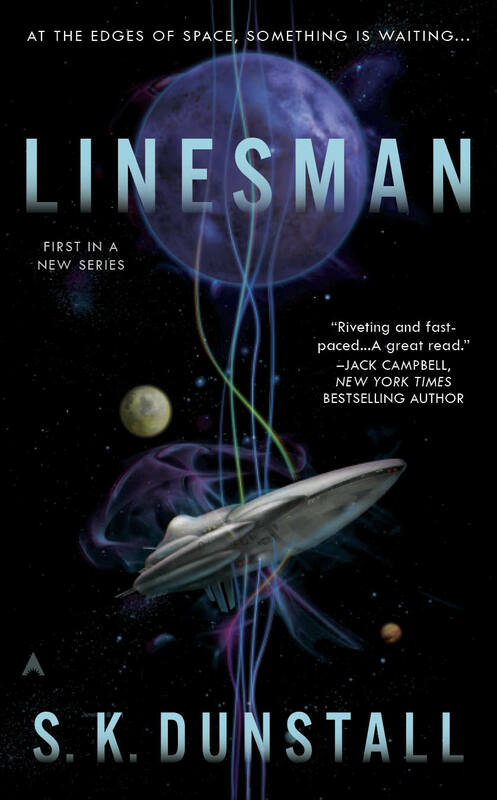 We’re delighted to finally be able to show off our cover for LINESMAN, the first book in our brand new science fiction series. We are delighted with it. Doesn’t it look great. The artist is Bruce Jensen. 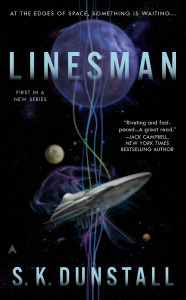 And … it’s appearing on book sites, And … it’s available for pre-order. Six months out. Yay!